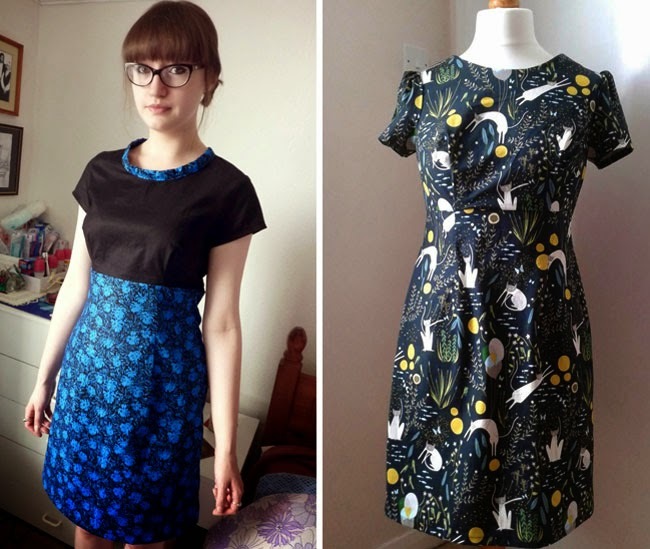 The Megan dress pattern from Love at First Stitch has proven particularly popular lately. I LOVE the colours of these two versions by Elinor and Jenna. A couple more Megans that I couldn't resist including. Firstly, Twinkle's, because I love the way she's taken advantage of the empire line seam design to showcase two fabrics. And secondly Isabel's dress, because yay kitties! Ruth made a really pretty sleeveless version of the Mathilde blouse, with a cute variation at the back - check it out. 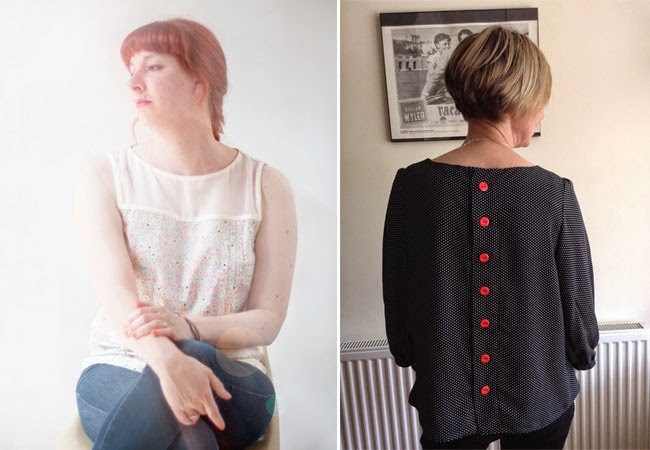 Anne made THREE Mathilde blouses in quick succession (you can see them all in the maker gallery) - I love the contrast buttons down the back of this one. 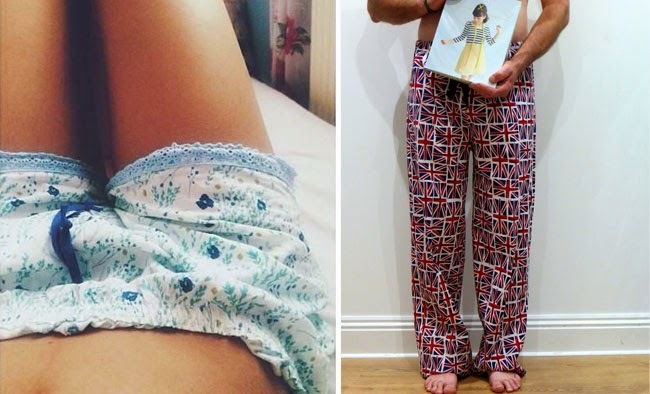 Lots of people have been making short versions of the Margot pyjamas from Love at First Stitch. These ones by Cathie are ridiculously pretty, non? But they're not just for girls, as Daisy's fella is keen to demonstrate! I squealed out loud when I saw both these photos! 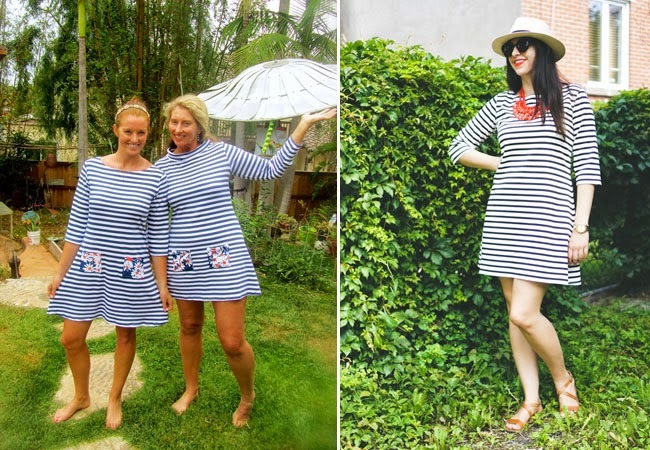 How adorable do Christine and Caitlin look in their mother and daughter matching Cocos?! I wanna go round their house! And Heather Lou shows that she's the style queen yet again in her simple-chic outfit... swoon! I love how Kath has styled her pretty version of the Miette skirt... makes me wish Summer would never end. 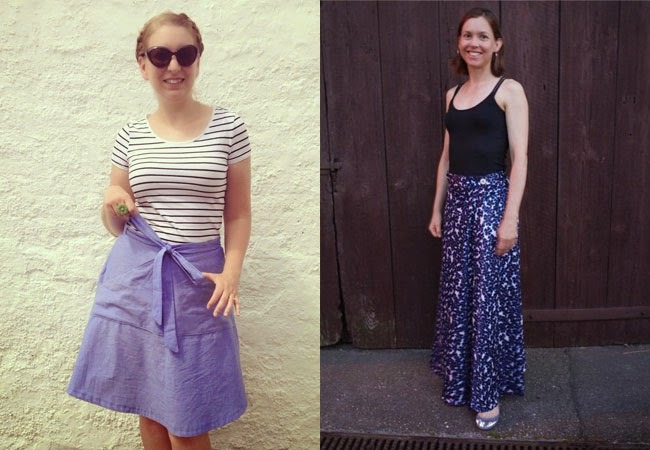 Christine made another maxi version of the Miette skirt, and got so many questions about how she made it that she's created a maxi Miette tutorial for you! 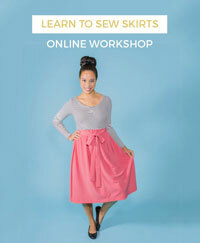 Julie looks so pretty in this simple yellow Delphine skirt, similar to the one I wear on the cover of Love at First Stitch. 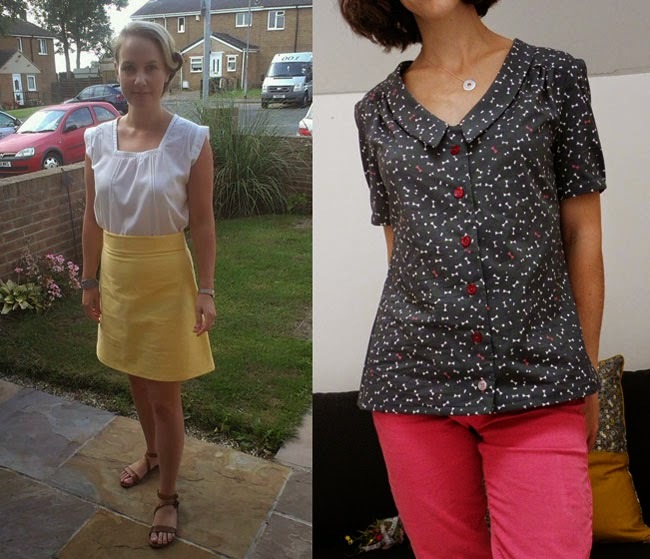 Chloeti made this lovely Mimi blouse... they'd look great together as an ensemble, non? A couple of final things to mention. Firstly, do you remember OWOP? 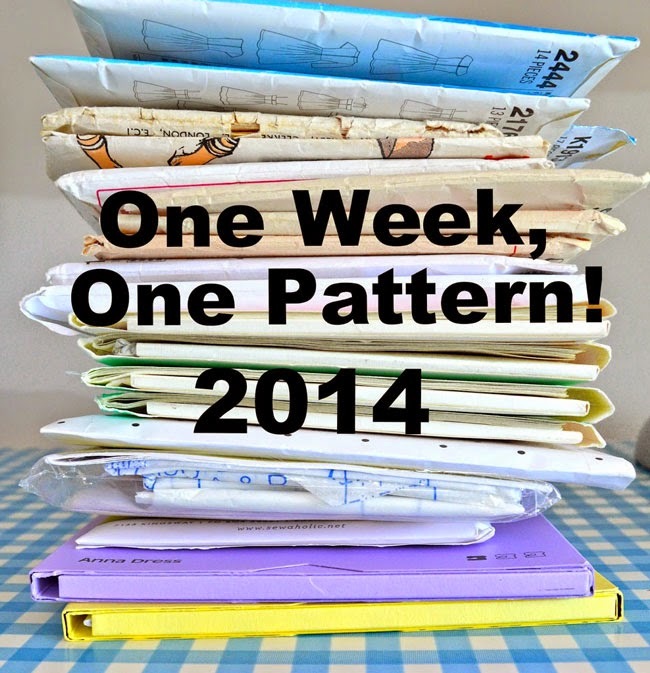 One Week, One Pattern? This was a challenge I set myself a few years ago - and then you a couple of years ago - to wear things you've made from one sewing pattern for seven days in a row. 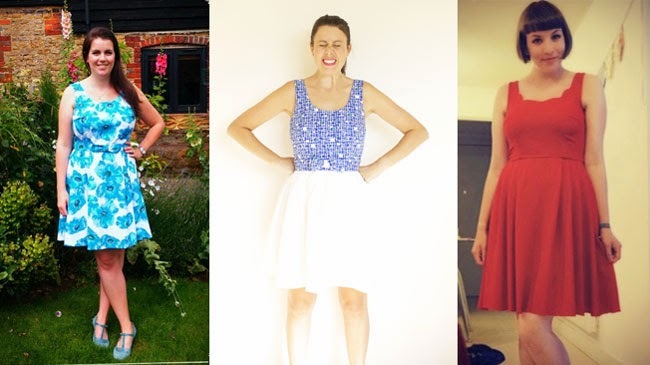 It's like a styling challenge for a wearable garment in your handmade wardrobe. 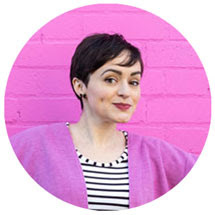 Well, Handmade Jane has taken the reins this year, hosting OWOP over on her blog starting on 6th September. Check out the deets and get involved! 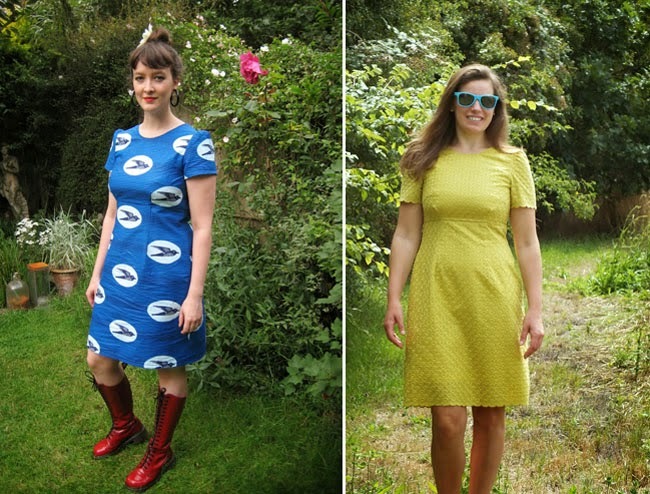 If you wear one of my patterns for your OWOP challenge (I'm currently trying to decide between Coco, Miette and Delphine for mine this year), be sure to let me know! 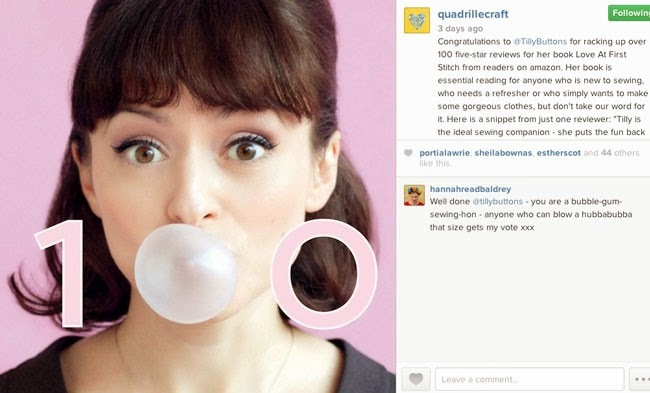 Plenty more pictures of things people have made with the patterns on Pinterest. If you want to get your own creation included in the maker gallery, tweet me a pic or leave a comment on the blog with a link. I can't wait to see what you've made!